Two words are synonymous in my mind: colourful and India. At times the colours are shocking and overwhelming. 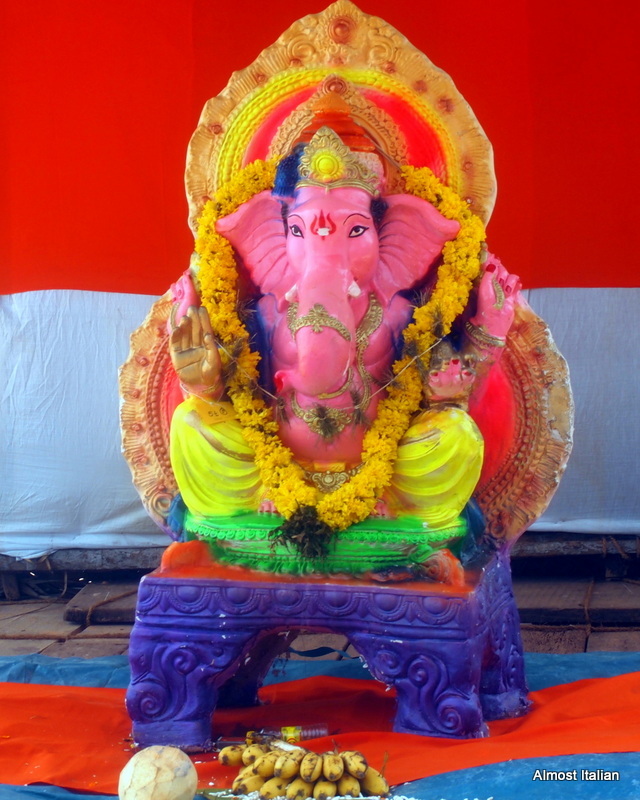 These Ganesha were taken down to Varkala Beach, Kerala, India for part of Onam festival. If you think these colours are loud, imagine the volume of the speakers! Brighten your day by visiting Ailsa’s other colourful offerings this week. What the varkala, is what I always think! It is on the coast in Kerala, in India and faces the Arabian sea. A great place to slow down – a month is about the right time to stay here. I agree – India is colour. And you have chosen some great examples! Thanks Leah, they are rather ‘loud’. Just fixed the typos which are getting worse- time for new glasses or slower fingers. That green one really hurt the eyes. Colourful things make me very happy! Ganesh is my favourite god and these are wonderful! You have cheered me right up! 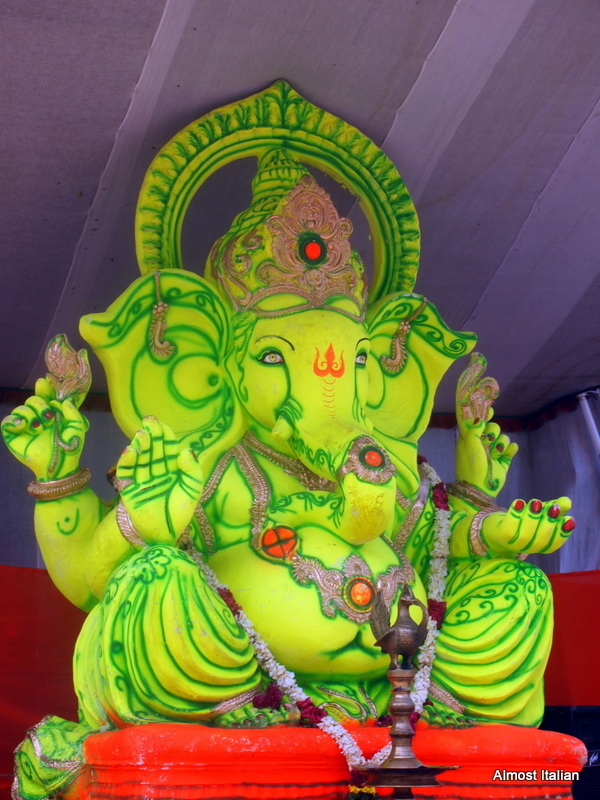 I am rather fond of Ganesh too. I always pat him on the head. Previous Previous post: Flattery will get you a Pizza. Next Next post: Weekly Photo Challenge. Angular in Shinjuku,Tokyo.